So, what exactly are these supposed factors that have combined to produce Morgan's "perfect storm for big-brand enterprise IT hardware?" Lower US corporate taxes, freeing up cash. New incentives to repatriate cash sheltered from taxation overseas, including accelerated depreciation opportunities. A weaker US dollar, against a background of overall economic growth. This positive outlook is not just restricted to the US. For example, in China, a renewed global IT hardware spending is already predicted by Forrester to grow at a rate of 6%. Rapid 2018 growth in enterprise IT spending is also expected to occur in Japan and India. 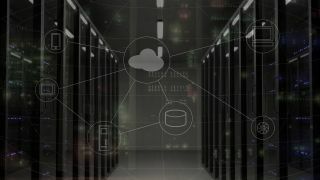 Stanley stresses that reduced enterprise spending for on-premises hardware reflects not so much a desire to abandon private datacentres, but just to pause further capital investment while figuring out where public cloud fits into enterprise IT strategy. Is this an out-take from the Private Cloud and Datacenter Hardware Wish Fulfillment Playbook, or does it (also) make sense? Yes, enterprise use-cases are diverse: from delivering predictable, commodity IT services with long lifecycles, to responding with agility to fast-changing market and seasonal demands, competitive pressures, and the requirements of hair-on-fire skunkworks development projects. Public clouds can answer well (so goes the conventional argument) where demands are variable, intermittent, unpredictable, and/or novel. But where things are more predictable, private clouds are often cheaper; especially at the large scales at which global enterprises work. Is the marginal cost advantage of hosting predictable apps on private clouds sufficient to compel increased enterprise hardware spends? We’re not convinced that this outweighs the notion – long used to promote IT outsourcing, public cloud growth and related phenomena -- that enterprise IT needs to justify its existence by producing differentiating business value. In a truly biz-value-forward IT cosmology, you don’t put boring, predictable, commodified (but also mission-critical) applications on private clouds. You rent them from SaaS providers. Stanley ends by suggesting that containers, automation and the Internet of Things (IoT) may help drive enterprise demand for on-premises hardware. Had Stanley built further on this idea, it would have made their case much more compelling. Public cloud costs are not suitable for a company of a decent size, and prove to be very costly. But for private clouds to grow – as Stanley says they will – they need to find a greater purpose than just hosting predictable, commodified applications more cheaply than Amazon. To be fully viable in enterprise hybrid clouds, private clouds also need to offer a public cloud experience in the on-premises datacentre. As Stanley subtly suggests, containers, automation, and other innovations are now making this happen, and IoT and other novel technologies are accelerating and enabling the change. Similarly-conceived, but more open solutions, host highly-available control planes for OpenStack and Kubernetes and handle lifecycle management, while letting you deploy compute/worker nodes in private datacentres and on popular public cloud platforms. These, too, enable single-pane-of-glass management and portability of workloads between private and public-cloud regions. More generally, Kubernetes is emerging as a leading tool for standardizing container workload hosting across private and public datacenters. Every public cloud provider now offers Kubernetes-based Containers-as-a-Service, and numerous third parties (such as StackPoint.io) offer ways of automating and lifecycle managing Kubernetes clusters on public clouds. While it’s still somewhat challenging to deploy production Kubernetes in-house, projects like Kubespray are making things easier: providing a generalized solution for getting Kubernetes on premises-based or public-cloud-hosted IaaS virtual machines or on bare-metal nodes. With Kubernetes running on premises and on one or more public cloud providers: problems with workload portability mostly vanish. You can deploy the same app to any compatible Kubernetes cluster using the same automation and manage it via identical lifecycle management code, CLI commands, and WebUI operations. Using Kubernetes federation, you can sync resources across public and private clusters, enable cross-cluster discovery, and thus easily automate key hybrid cloud use-cases, like bursting. If you prefer, you can climb higher up the value stack and deploy serverless compute to create and manage even lighter and more-portable functional solutions for high-throughput real-time processing of time-series or other metrics from sensors and other IoT devices. At Opsview, we’re investing in automatic monitoring and predictive analytics, making it easier to implement monitoring in Kubernetes, serverless compute and other complex frameworks, keep track of their health, and gain rapid, useful insight into the often-transitory workloads they execute. They can significantly reduce the effort, skill level, and headcount required to manage these platforms proactively, along with the critical business services they support. With all these opportunities and trends in play, Morgan Stanley’s prediction that a bounce is coming for enterprise datacenter hardware seems more credible. Unfortunately, whether it will happen in 2018 or somewhat later –is still an open question.